Two engineers have already been recruited and the COO should be selected in the coming days. All the participants have declared that they support these applications. 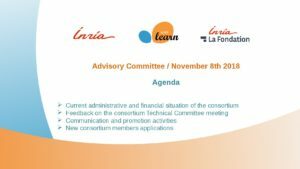 Partager la publication "ADVISORY COMMITTEE / NOVEMBER 8, 2018"